Known today as mountain “4” or La Crête, the Chantecler North hillside was first opened in 1970. Back then, there were 5 trails and 2 double chairlifts. Since December 1998, Le Chantecler has been an integral part of the Gouverneur hotel chain. Convention-goers and visitors can enjoy this beautiful and peaceful setting, as well as the local hospitality in this magnificent Lower Laurentians region. 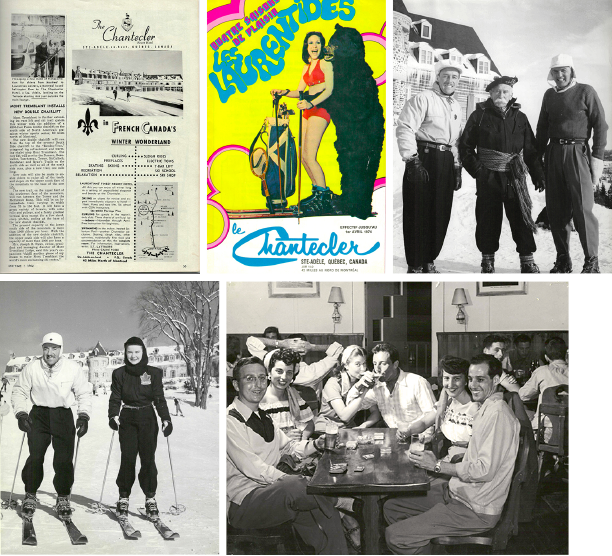 Between 1999 and today, many major investments have been made at the Hotel Le Chantecler site, including $1.5 million in the Ski Chantecler resort. Notably, a new four-seater chairlift was installed to replace the two double chairlifts on the North hillside, major enhancements were made to the snowmaking system and a Magic Carpet was installed to help children learn how to ski. For many years, the ski resort has hosted the Ski-o-thon to help raise funds for multiple sclerosis. For 3 consecutive years, the LEUCAN Ski Challenge was held at Ski Chantecler, which was the first resort to hold the event at the same time as Ski Bromont. Since the 2001-2002 season, the Starlight Children’s Foundation has counted on Ski Chantecler for its major winter fundraising campaign and special event.